What is it that drives the human quest for “something more”? What fuels our longing to “reach beyond,” our drive for excellence, as well as our tendency to be vulnerable to a myriad of addictions? Depth analysis leads us to ground the origin of these longings in the fiery energies of the Archetypal Self, the GodSelf at the Center of the human personality. 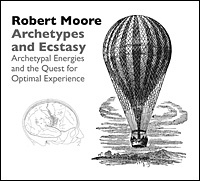 In this seminar Dr. Moore presents his discoveries with respect to the archetypal map of the journey toward wholeness; a journey that is encoded in our personalities and that can guide us to optimal personal experience and human fulfillment. In addition to lecture and discussion, this seminar includes experiential exercises to help you recognize patterns that may be inhibiting your movement toward optimal experience. This all-day seminar is part of the Bollingen Lecture Series presented by the C.G. Jung Association of Central Ohio. Also see Dr. Moore’s companion lecture, A Neo-Jungian Mapping of the Psyche: Understanding Inner Geography and Our Challenge of Individuation, (RM50).